In a recent interview with the magazine New Scientist, Professor Jim Al-Khalili, Professor of Physics at the University of Surrey, Broadcaster and member of Muslim Heritage Awareness Group (a network of experts working with FSTC) debated on several issues related to the Islamic scientific heritage and to the state of science in the Arabic speaking world. 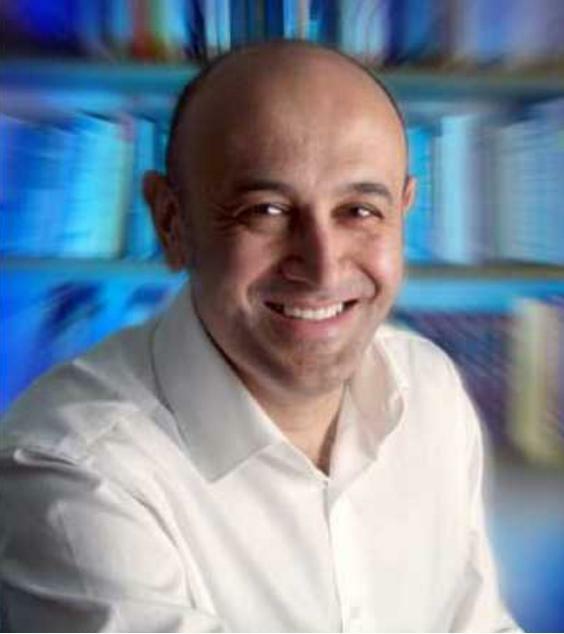 Besides his world fame as a scientist, Jim Al-Khalili is a well known expert in issues related to communication, social connections of science and the cultural perception of science. He published in the media several papers on the Islamic tradition of science in which he endeavoured to change the general perception about it among the general public (see resources below). His book, The House of Wisdom and the Legacy of Arabic Science will be published in the Autumn of 2010. He is also presenting two science documentaries in the UK, The Secret Life of Chaos and the three-part series, Chemistry: A Volatile History on BBC4 in January 2010. The interview with New Scientist, conducted by Sanjida O'Connell, was published in 13 January 2010 (magazine issue 2743: to read it online click here). It is entitled "Islam's House of Wisdom will rise again". 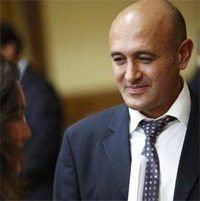 Jim Al-Khalili explains in the interview his conviction that science in the Muslim world will flourish once more. 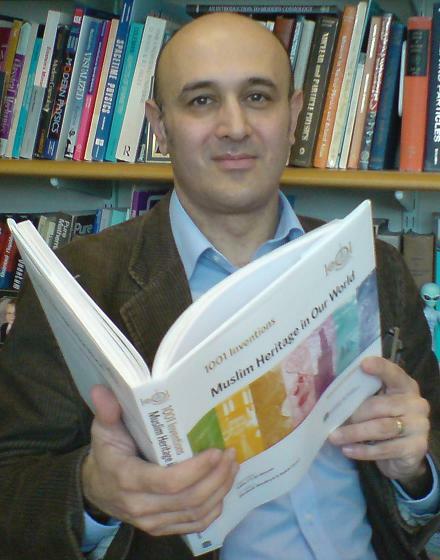 To the question about the reasons why the golden age of Arabic science is badly known in the West, Jim Al-Khalili considers that "the Arab empire was hugely powerful by late 8th and early 9th century; its rulers were getting taxes from across the empire and had money to spend on translations and patronage of scholarship. About this time the House of Wisdom was set up in Baghdad by one of the Abbasid caliphs, al-Ma'mun. It began as a translation house, translating Greek texts into Arabic and rapidly started to attract the greatest minds in the Islamic world, while Arabic became the international language of science. There was also a strong influence from Persia; an Arab scholar once said, "We Arabs have all the words but you Persians have all the ideas." In this context, a widely held misconception claims that the Islamic world did no more than act as steward of Greek science. However, "an incredible number of important and original advances were made by Arab scientists, who were the first to undertake real science - theory and experimentation - several hundred years before the scientific revolution in Europe". 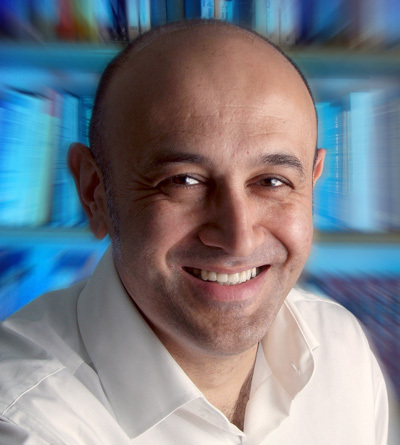 Jim Al-Khalili, British scientist, author and broadcaster (Source). Examples illustrating this dynamic tradition of science and technology in the Islamic history are difficult to count. They concern mathematics, optics and physics, astronomy, and so many fields of science practiced in the ancient and medieval periods. The work of Al-Khwarizmi, the father of algebra opened no less than the field of algebra to mathematical investigation. Professor Al-Khalili argues that "it turns out that no one was really doing proper algebra until he came along. The concept of an equation that you solve to find the unknown quantity, x, goes back to this one scholar". Ibn al-Haytham, "the greatest physicist of the medieval world", used geometry to prove how vision works. Jim al-Khalili observes that "it is obvious to us now but at the time no one understood that light travels in straight lines". The intriguing question about the final decline of Arabic science came up in the interview. Observing that this decline should be relativised as it was not a sudden collapse of scientific activity since "there were great scholars in the Islamic world all the way up to and including the 15th century", Professor Al-Khalili considers several hypotheses proposed in the scholarship to explain what happened. These explanations include internal factors linked to the intellectual and ideological turn taken towards further orthodoxy and conservatism around the 11th-12th centuries as well as external factors, such as the impact of the Mongol invasion in the 13th century, which destroyed a large part of the heart of the Islamic civilisation in the Middle East. Another important issue debated regards the reasons that make the classical Islamic science so little known in the Western world. Al-Khalili reminds the role played by Arabic learning in the renaissance of science in medieval Europe, before he turns to recent factors of modern history which might explain the disdain shown in the West towards Islamic learning, such as the état d'esprit that accompanied colonialism: "Some argue that colonialism played a role. When the British and the French were invading Asia, the Middle East and Africa they didn't want to hear that these places were once wonderful, flourishing civilisations; in order to justify what they were doing, they had to show that these people were ignorant savages". The negative perceptions about Islam and Muslims which are unfortunately widely held contribute also to suppress the recognition of Arabic and Islamic legacy, especially in science. But on the other hand, the Islamic world itself isn't proud enough of its own heritage. Jim Al-Khalili regrets the anti-scientific attitudes in Islam today. In this regard, he emits a vibrant call that "the Muslim world needs to be reminded where it was 1000 years ago: it was tolerant of other religions, it was enlightened, it was doing curiosity-driven science (…). Many developing countries have poured money into science but only to drive their economy. You won't get real advances in science - real blue-sky thinking - unless you forget about what might come out of it and you do science for the sake of it. That's what the Islamic world was like 1000 years ago and until it gets back to that sort of mindset it will always be trying to catch up with the rest of the world". The last part of the interview dealt with the efforts carried out in the Arab world to create a renaissance of science. 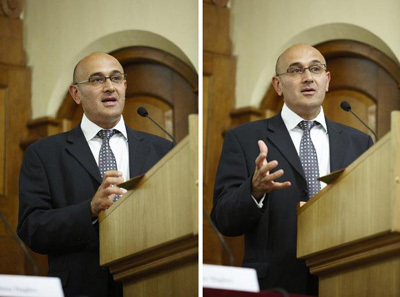 Prof. Jim Al-Khalili, "It's Time to Herald the Arabic Science That Prefigured Darwin and Newton"
ww.al-khalili.co.uk: the official website of Jim Al-Khalili. *The members of FSTC Research Team include Salim Al-Hassani, Mohammed Abattouy, Mohammed El-Gomati, Salim Ayduz, Margaret Morris, Savas Konur, Cem Nizamoglu, Anne-Maria Brennan, Maurice Coles, and Ian Fenn.